Role play is a widely used training methodology that immerses learners in scenarios they face everyday at work to allow for skill practice. However, role plays have been traditionally delivered in a live/face-to-face setting and therefore are difficult to scale over a large, geographically dispersed population. This is why Advantexe has developed Praction®. Praction is an interactive cloud-based role play application platform designed to drive learning retention and provide learners with a virtual and effective way to assess, develop, and re-enforce new skills by actively applying and practicing classroom learning through single and team-based role plays. Our Praction Role Play includes two unique methodologies. 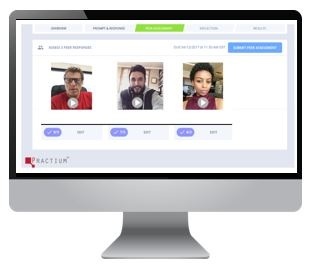 Praction VRP - allows two learners in different geographic locations to conduct a dialogue in real time to demonstrate skill in a given competency. 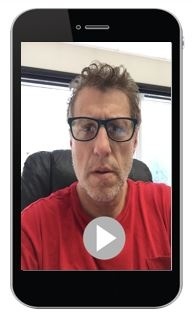 Praction 360 - contains Interactive video exercises that motivate employees to practice skills by allowing learners to post responses to real-world scenarios and then share those role-play responses with peers and experts for feedback and self-reflection. A Praction VRP session typically involves two exercises so the two learners who are partnered for the activity each have the chance to demonstrate their skills at least once. The skill practice dialogues are completed on computer using Voice over Internet Protocol (VoIP) or Video and recorded by the cloud-based platform. The recordings are then available for learner self-assessment and feedback. When the dialogue ends, the pair rate the performance of the partner in the skills practice role according to key competencies or behaviors. One rating is a self-assessment, one rating is a peer assessment. Getting Started - Learners are invited to their Praction Hub to access a situational scenario. Demonstrate Skills - After watching the scenario prompt, learners are asked to prepare, practice and then record their response to the scenario via video. This process can be completed on their laptop, smart phone, or tablet for a truly mobile experience. Self-assessment - Participants then post their response back to the hub where they complete a self-assessment of their response according to best practice criteria. Peer-assessment - Participants then have their video response reviewed by their peers and also have opportunity to provide feedback on their peers’ responses. Coach Review - Either Advantexe Subject Matter Experts or your own experts/coaches provide all participants with the recommended “Best Practice” for how to address the scenario. Self-reflection – Learners review the best practice approach and write out their reflections regarding how their response compares to that best practice example and what they may need to change in their approach to similar scenarios in the future. What Topics Can Be Covered? Enter your email below to subscribe to our blog.